Lloyd moved to the United States in 1999 from the small town of Cwmbran in the South of Wales. In 2005 he moved to London, England where he discovered Formula 1. At 15 years old Lloyd got his very first go-kart and was hooked on racing. Two years later Lloyd moved back to California and brought his go-karts too. After competing at Sonoma Raceway at local karting events, Lloyd got the opportunity to do a 3 day driving school in the Jim Russell Formula 3 car. After completing the 3 day course, Lloyd earned his very first racing license. In 2010 Lloyd competed in the San Francisco SCCA Formula Enterprise Championship. Lloyd captured the rookie of the year honors with multiple podiums and finished 3rd overall. In 2011 Lloyd stepped up to the Formula Car Challenge Championship in a much powerful Pro-Formula Mazda. Lloyd won the championship in his rookie year and also set a new track record with multiple wins. 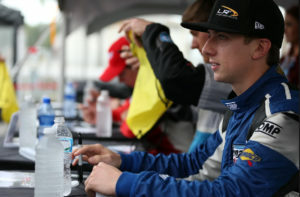 In 2012 Lloyd focused on preparing himself for the 2013 Pro Mazda Championship. He still competed in a selected few Formula Car Challenge races and had a win percentage of 75%. In 2013 Lloyd competed in the Pro Formula Mazda Championship. With a season plagued with bad luck, Lloyd finished 8th in the championship and also scored multiple top 5 finishes. 2014 saw Lloyd move up to the Indy Lights series. 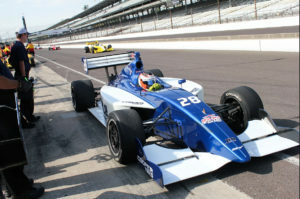 The premiere feeder series to the Verizon Indy Car series. Lloyd was selected as the sole driver for Bryan Herta Autosport. Being the single driver on a team meant that Lloyd was responsible for developing a car by himself. This challenge proved to be very difficult but was welcomed by Lloyd. After 5 rounds Lloyd’s season came to a close due to a lack of funding. Lloyd consistently placed his car in the top 10 which was an accomplishment for a small team. 2016: Lloyd completed in the ultra competitive IMSA GT3 Cup presented by Yokohama. He finished 4th in his Porsche 997.2 GT3 Cup car.